Whilst remediation of contaminated land can reap significant financial rewards, it can also be complex, costly and time consuming. 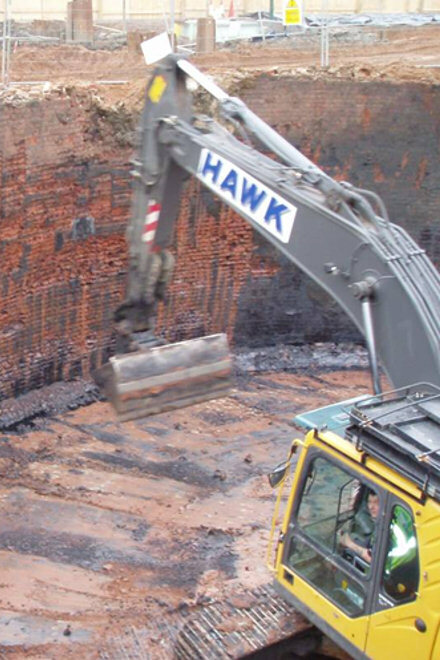 GEG has vast experience in site assessment and remediation of contaminated land, and can therefore provide highly cost effective remedial solutions taylored to a proposed development build plan or even around existing structures. GEG provides a complete service to developers, existing landowners and financial institutions with the provision of a ‘turn key’ solution from pre-acquisition ‘abnormal’ cost estimates through environmental risk assessment and remediation design/completion to final validation. GEG has an excellent relationship with the regulatory authorities including the Local Authority, Environment Agency and NHBC. All our reports concur with current guidelines and legislation and hence allow a rapid discharge of planning conditions.